A special model with an ash body and traditional neck feel. 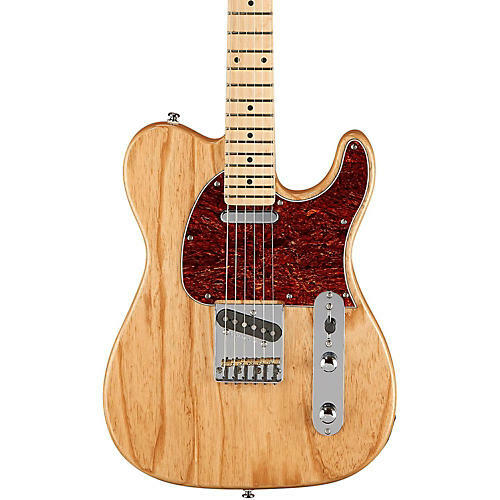 The G&L ASAT Classic is Leo’s final word on the traditional single-cutaway bolt-on axe. This special version features an ash body in natural gloss, a 9.5" fretboard radius and a tortoise pickguard. Framed in a classic boxed-steel bridge, the G&L-designed alnico pickups deliver crisp attack with complex harmonics while individual brass saddles offer modern levels of intonation refinement. The Tribute Series ASAT Classic is dripping with Leo mojo at a price attainable for every working musician. Once you play a G&L Tribute Series, you’ll never look back. Case sold separately. Grab one while you can. Order today.